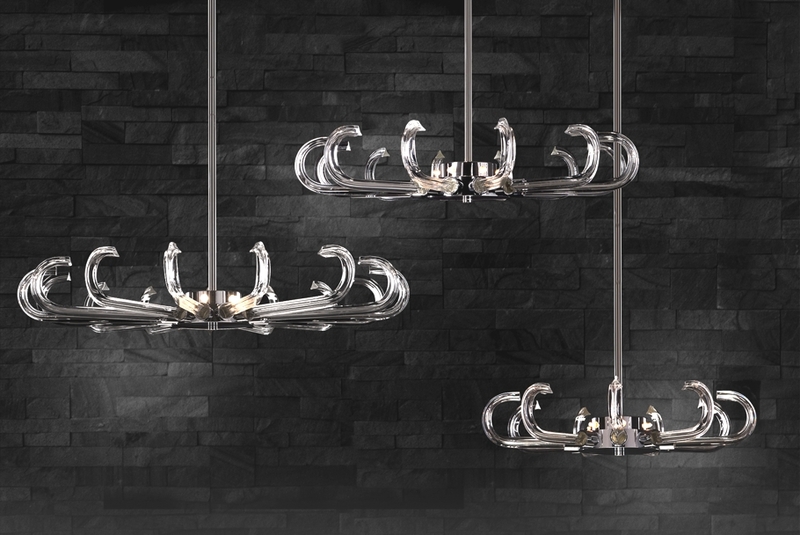 Luxury lighting brand Baroncelli has just announced the addition of seven new lighting designs to its winter collection. From tiered chandeliers, elegant floor lamps and statement pendants each design is distinguished by Baroncelli’s expertise in working with a variety of materials and processes and its inspiring vision to deliver remarkable designs. The luxury Italian brand is known for creating inspiring and original lighting designs for a wide range of international clients. 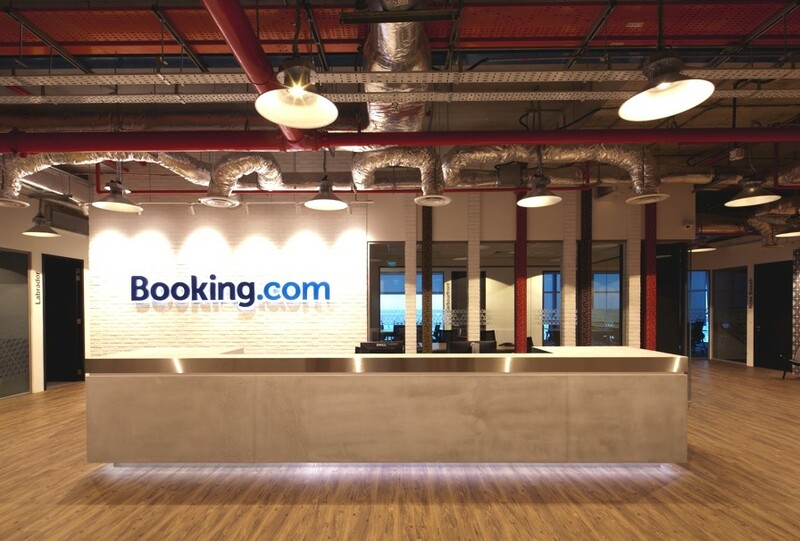 Its award-winning Collection features bold and dynamic chandeliers, pendants, floor lights and wall lights. The Tobia Chandelier, a new addition to the Tobia family, is a modular design made from hand-crafted cristallo trihedrons on a polished chrome frame. 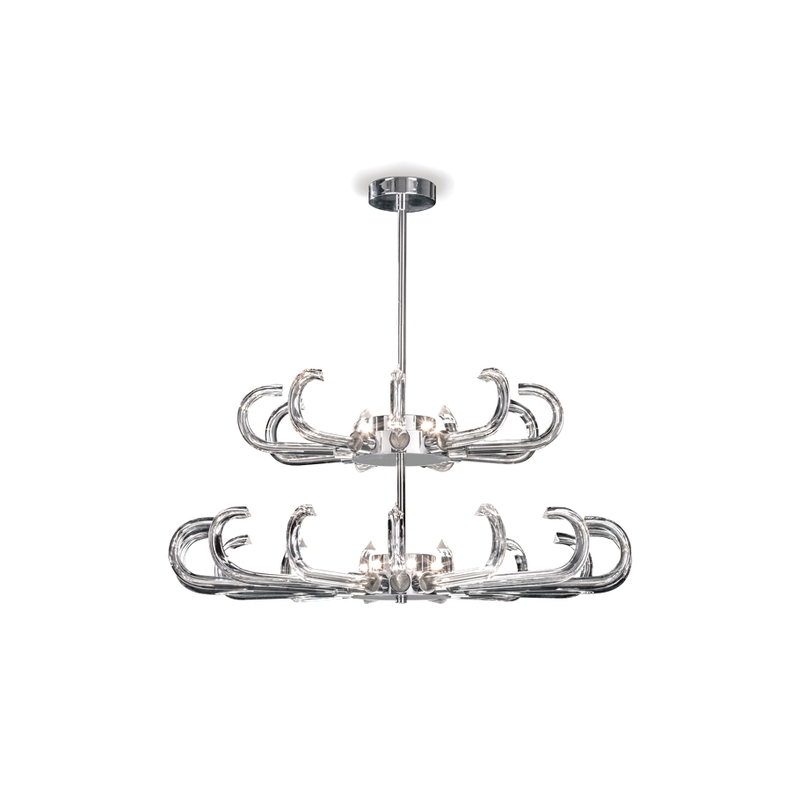 This light can be assembled to the customer’s exact requirements with the option for numerous layers to add drama and impact. Celebrating a very personal approach to lighting design, the Tobia embraces creativity and successfully demonstrates how working in multiples can have spectacular results. 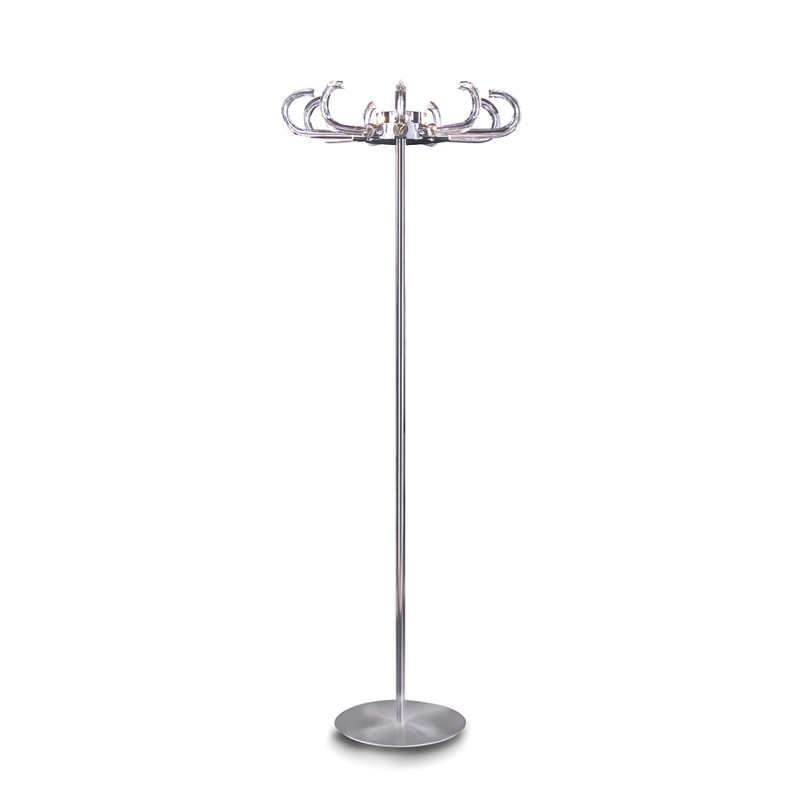 The Tobia Floor Lamp is also new to the Collection with a very elegant silhouette and excellent illumination. Another light from Baroncelli is the Delano Pendant, a linear design constructed using three long, powder-coated, single metal tubes. Each tube is bent at a sharp right-angle and leads to a satin brass attachment cradling a light source. A bulb sits within each element with a hole above and below allowing directional light to be emitted. Fixed from each of these is a slim, cristallo glass tube illuminated by the shaft of light. 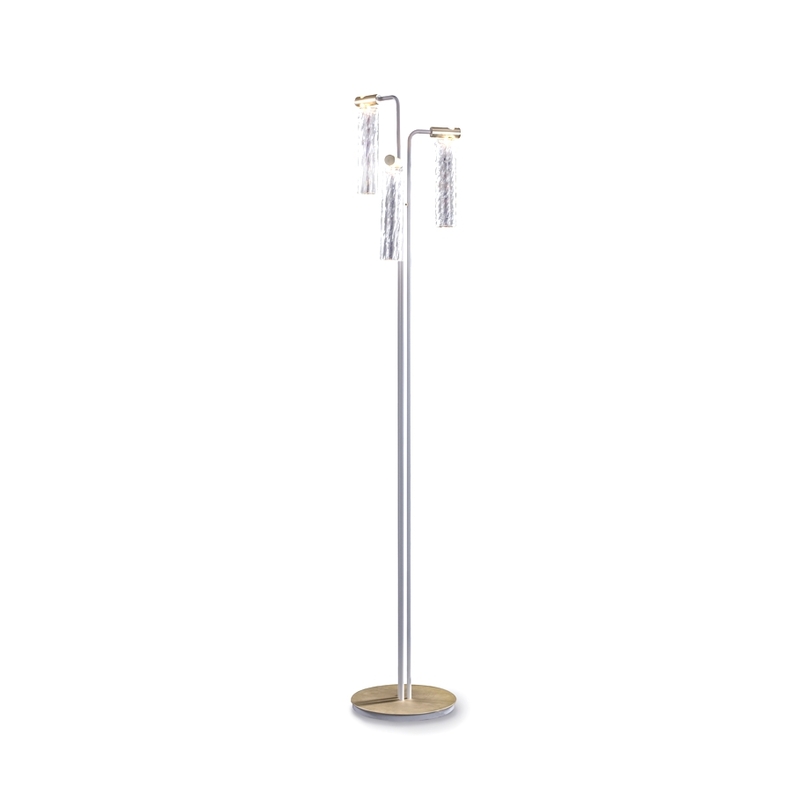 Baroncelli has also just launched the Delano Floor Lamp which mirrors the Pendant’s three-way cylindrical drops. 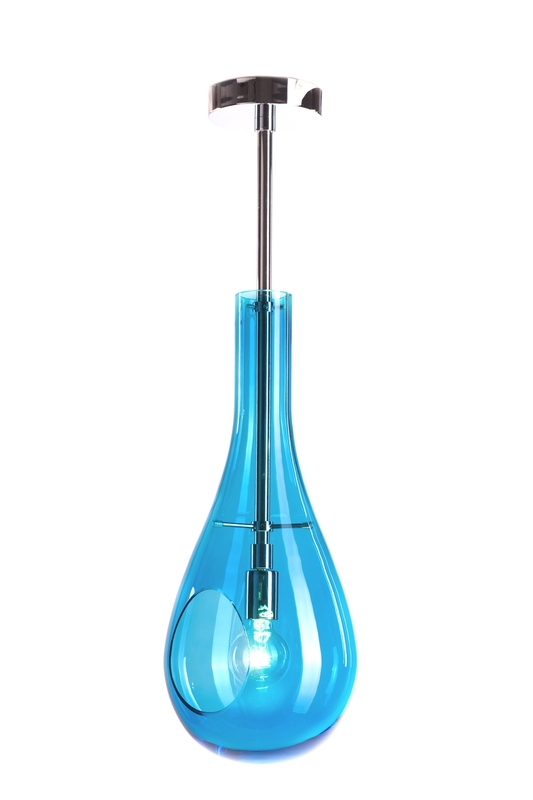 The Alice Small Pendant, created in hand blown Murano glass, is a design which has recently been added to the Collection. Available in the vivid blue of Acquamare or the calm, yellow tones of amber, the Alice has a smooth finish apart from a neat oval hole cut into the glass allowing light to shine through uninterrupted. With its polished chrome frame and graceful lines, the Alice is stylish in its simplicity and would work equally well on its own or as part of group. 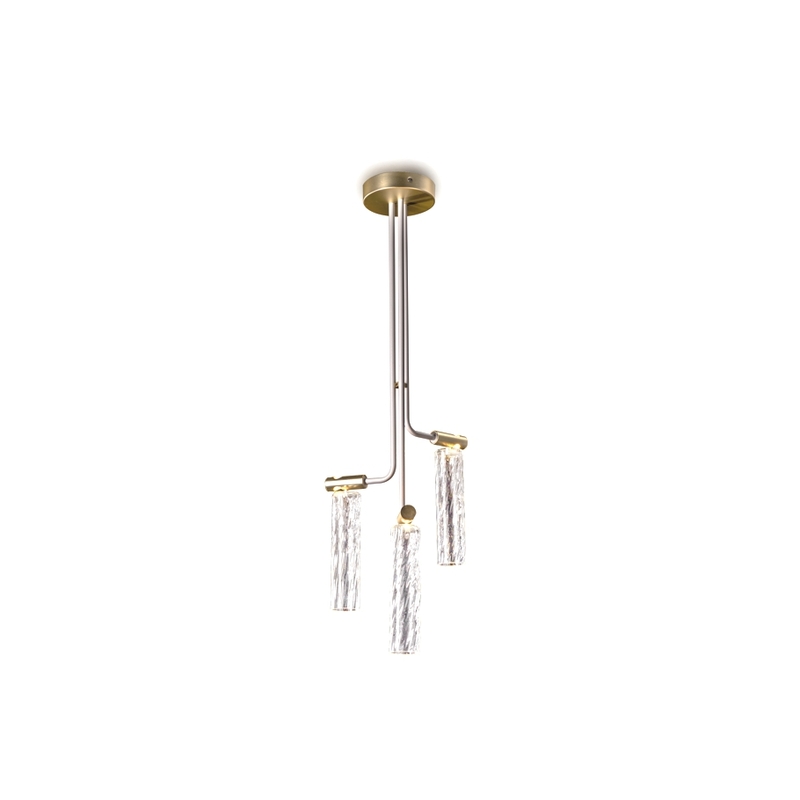 The Atomos Pendant is suspended by a satin brass rod. This pendant is symmetrically aligned but also has a rich vitality and brightness to it. 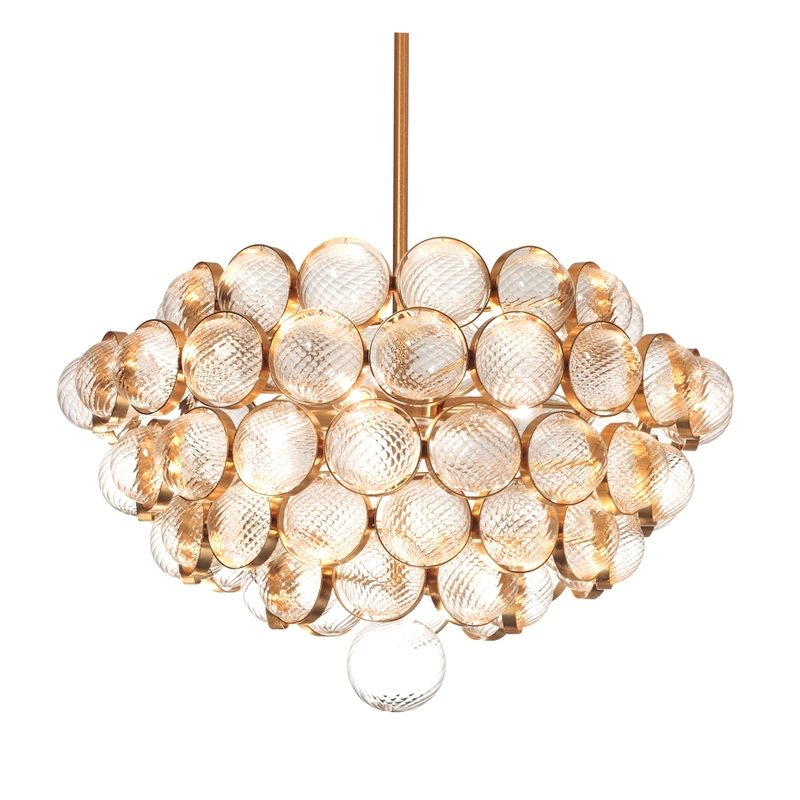 Each textured glass ball within this lively cluster is held within a flat metal ring to allow the handmade glass pieces to be individually framed as well as to float seamlessly. The intricate and individual working on the surface of the glass allows light to bounce in intriguing patterns whilst drawing the eye in to engage with this statement piece. 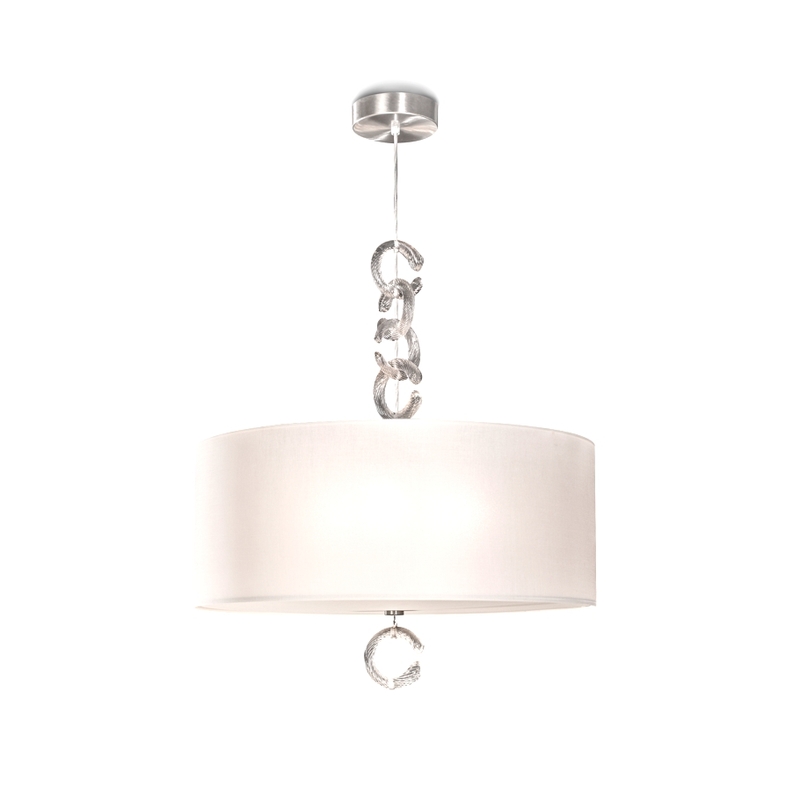 Baroncelli’s Neo Pendant is an extremely elegant design. Handmade C-shaped links in ribbed Murano glass intertwine to create a short chain which leads to an enclosed opaque shade emitting a soft glow. Beneath this floating shade hangs a singular link, a graceful and very fitting addition to this simple and stylish design. Each of these designs is distinguished by Baroncelli’s passionate approach to the creative process, drawing on the company’s extensive expertise in working with a variety of materials and processes with an inspiring vision to deliver remarkable designs. 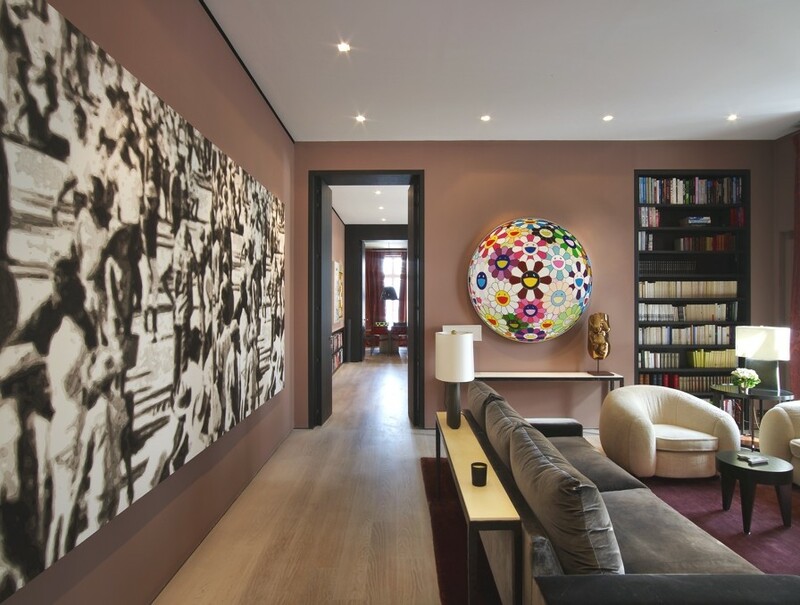 Francis D’Haene, a Belgian-born, New York-based architect/designer and founder of D’Apostrophe Design was charged with the task of transforming an old building owned by the French government into a royal residence.